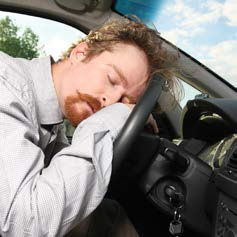 Drowsiness causes 7% of all road accidents and mat to blame 18% of fatal collisions. (e.g., open/closed eye classification and head pose estimation). Our main objective is to implement a mobile prototype (running on a smartphone or comparable device, to be mounted on the dashboard of a car) that is capable of demonstrating how the proposed method achieves its goals in real-time.